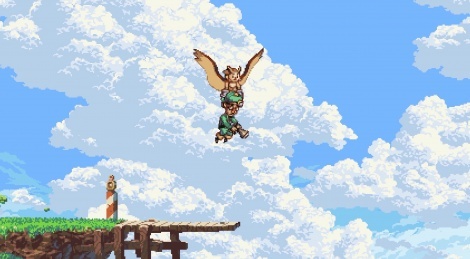 Tomorrow, the final version of Owlboy will finally be available after 8 years of development. Before we can show you more of the game, we are allowed to share the content of the PAX demo that has been much talked about since last summer. If you have not heard about all the overwhelmingly positive reviews which have been up for a few days, maybe it's time you catch up with the first 40 minutes of the adventure. Visually impressive, D-Pad Studio's title is also a treat for your ears and gamepad. To begin, only the PC version will be available tomorrow, but more systems should be announced later on, provided the game is successful enough. wow, the game is ineffably GORGEOUS. It is...but this time, I think, the pixelated style is a wasted potential here. It could be HD 2D game. No reason to go for pixels here. It has a great detail. And dont take me wrong....it is a beautiful game and I love retro style.....but here,......You know.